Floyd Mayweather Fights T.I. 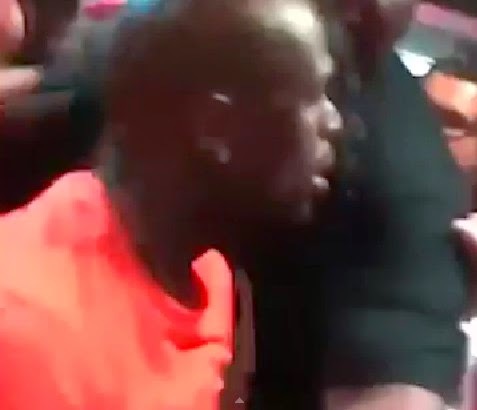 the Rapper Inside A Restaurant: Here's The Brawl Video, Take A Look! Controversial boxing star Floyd Mayweather Jr. and famous rapper T.I. created a huge buzz all over the social media sites after they engaged into a brawl inside a restaurant in Las Vegas. The brawl allegedly started when T.I. 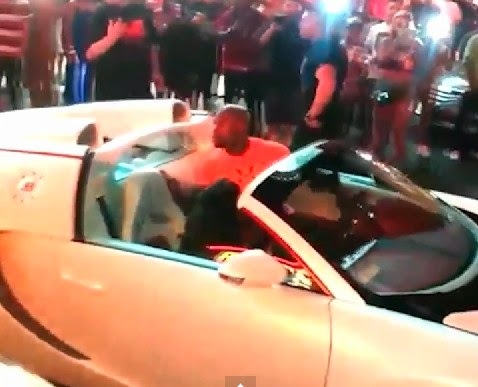 walked up and confronted Mayweather inside the Fatburger outlet asking about a girl and with reckless abandon threw a punch at the unguarded boxer, TMZ reported. The respective Bodyguards of both parties jumped in to separate the two celebrities, but instead of pacifying the situation, it further intensified the brawl. All hell broke loose from that point on. Several footages from the incident, posted on Instagram, show chairs flying across the room. Mayweather and T.I. had crossed paths at a casino earlier in the night, where they exchanged some harsh words. The origin of the said rift between the two was Mayweather’s shocking attack on a girl named "Tiny". Sources have told TMZ T.I. was unhappy about Mayweather’s relationship with his wife, Tameka “Tiny” Cottle. Words were unleashed and this is the most resounding “You control your b****, motherf***er,” Mayweather told T.I..